Jewish Home, National Union and Otzma Yehudit submit list of candidates to the Central Elections Committee. 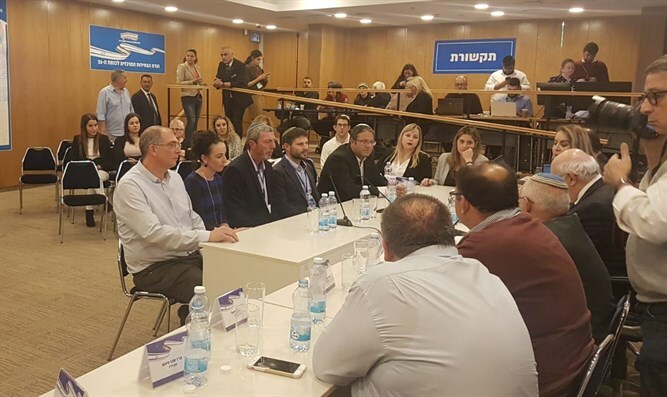 The Jewish Home, National Union and Otzma Yehudit on Thursday evening submitted their list of candidates for the elections to the 21st Knesset to the Central Elections Committee, headed by Justice Hanan Melcer. The list will be called "Union of the Right-Wing Parties".